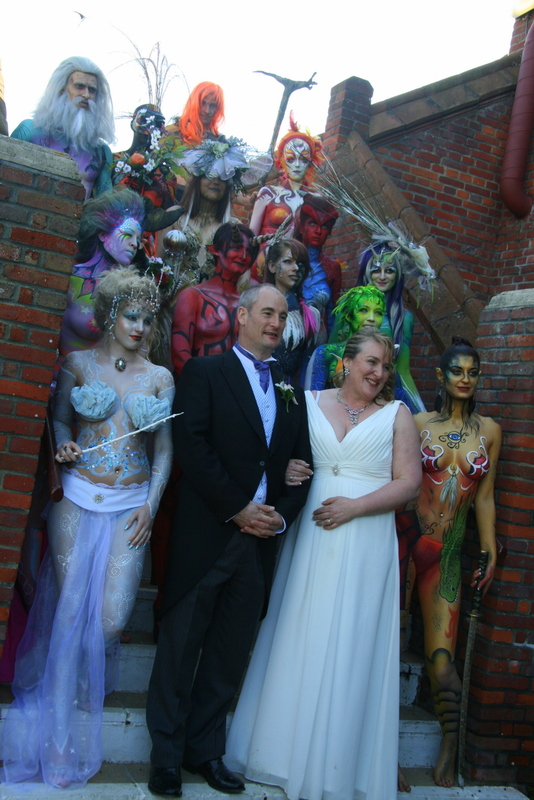 My fab buddy Jennie had never been to any of the big face/ body paint conferences, as they are usually from Norfolk (she has 2 daughters and a day job), and cost lots. She arranged a ‘jam’, a day where local (ish) painters come and try stuff, play with paints etc, and that whet her appetite. 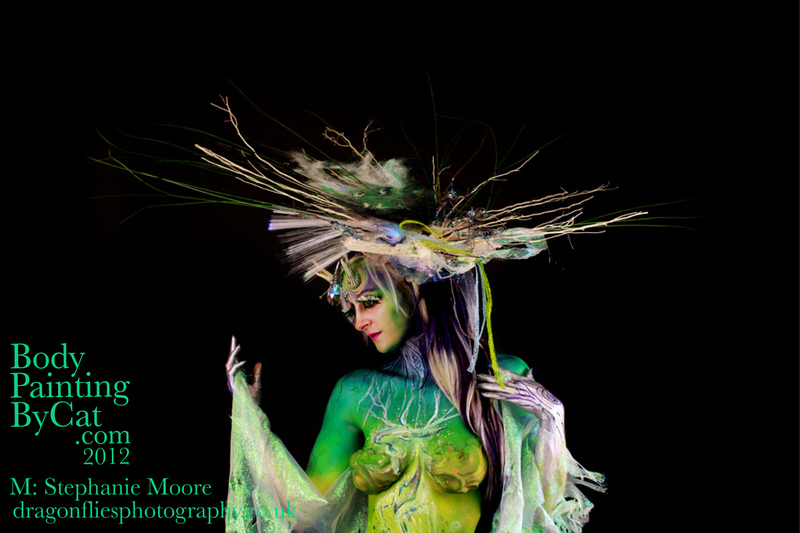 So, she decided to create Paintopia, (partially helped by her friend Kerry), a body art festival in Norfolk! 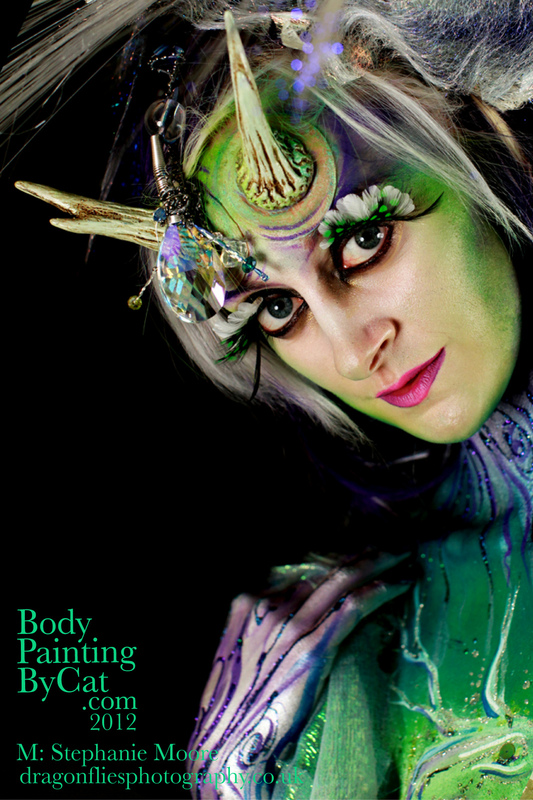 The aim was to raise the profile of good face & body art and let us all have some fun too. Even though it was its first year, she attracted entrants from all over Europe and even further as well as UK! 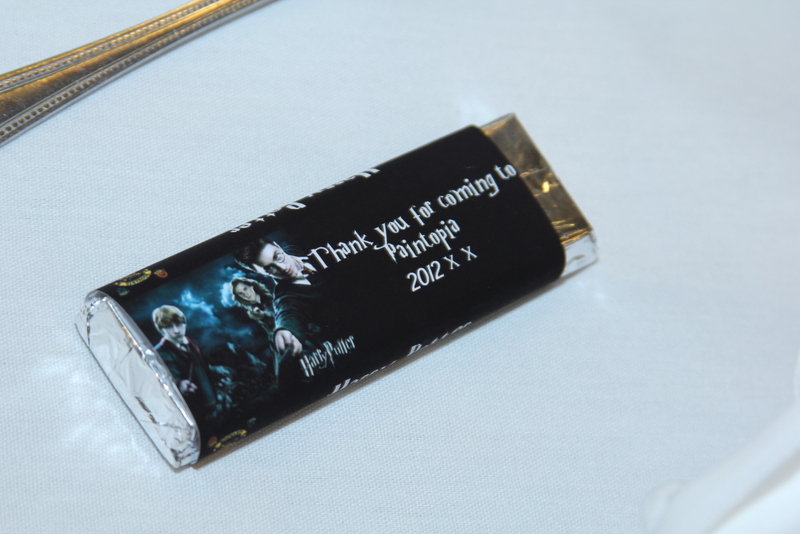 This first year Jennie chose a magical theme, loosely based on Harry potter, partially because we were hosted at the historic Dunston Hall. 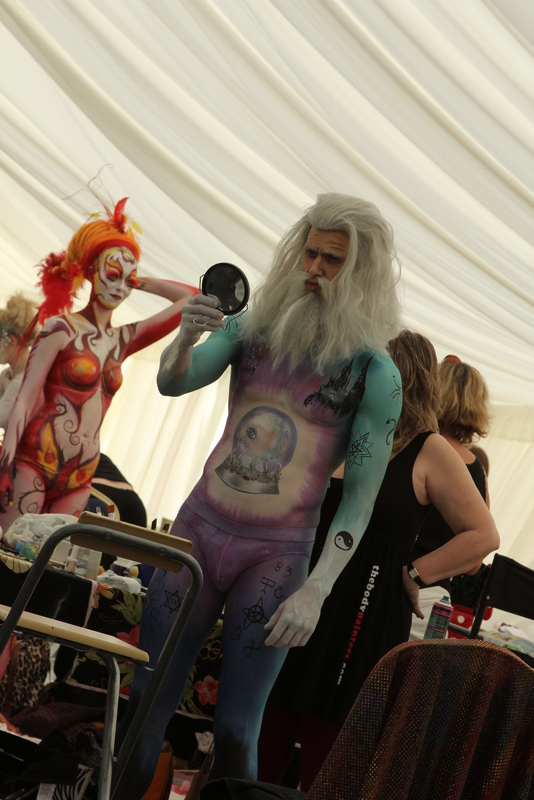 Unlike many events, painters were able to set up on their own tables in the wedding marquee, and leave their kit there the whole weekend. Many retailers were set up in a room in the hotel, and official photographers were in another. 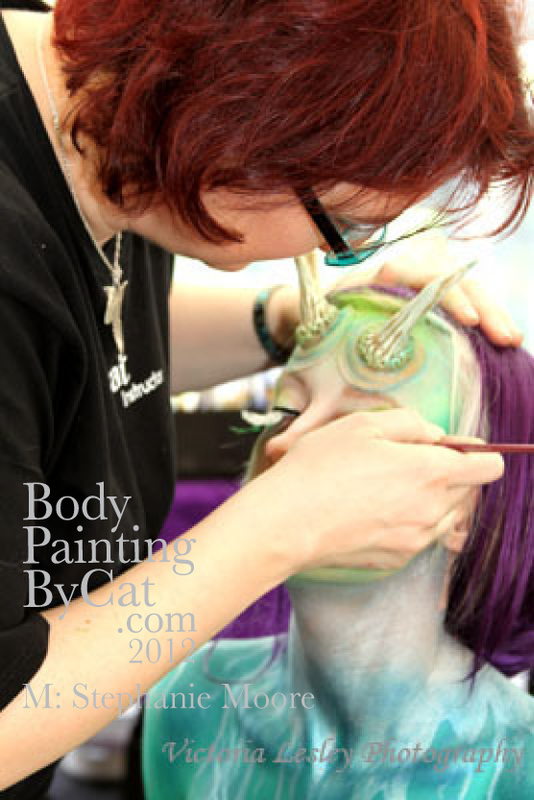 The first day, Saturday, we were creating mystical creatures in the main body paint event. Hotel staff were really helpful and intrigued (highly unusual compared to many events I have been to) bt did warn us that a famous football team and a lavish wedding were sharing the hotel, and could we be cautious. 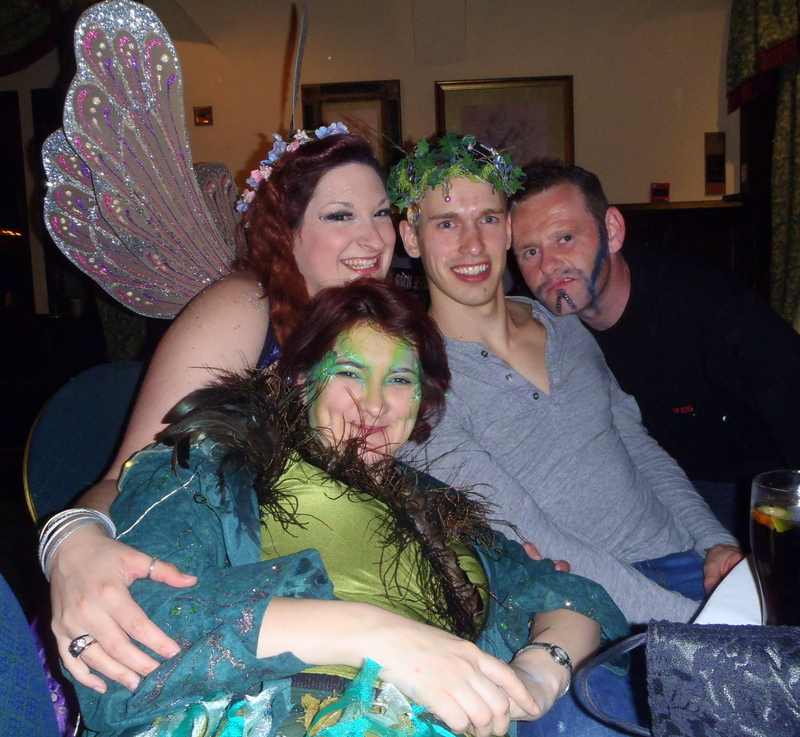 I had designed a Patronus Pixie on the amazing Stephanie, in my favourite teal and blue shades. I added prosthetic horns, and tried to draw Harry Potter casting the spell beside the lake on her leg, so his stag Patronus rose up her front, surrounded by wispy Dementors. Voldemort on the back I was not happy with, but I finished in time and managed to fix the giant fibre-optic-and-fused fibre headpiece I had made to her wig. A few wedding guests noticed what was going on and asked to come in; by the afternoon we had most of the wedding in watching us work. I loved this – Juliet Eve aged out lovely Laurence by decades, changing him into an ancient wizard. Whilst queuing to be judged, and photographed, th footballers (Aston Villa!) spotted the models and started papping them! The wedding couple also sent their official photographer to ask if the models would pose, so the whole crew grinned behind the happy couple with me trying to remind them all NOT to hug the bride! 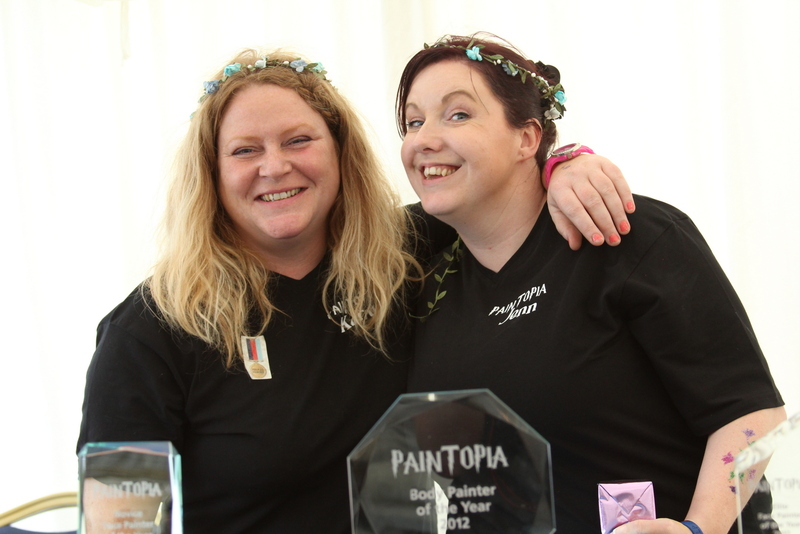 Helen won for her unusual brown and cream flowery creation, lovely. We came 2nd ! Woohoo!!!! !